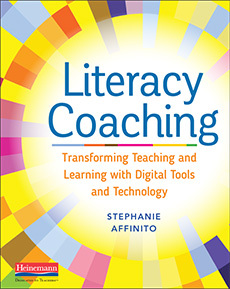 Every day, our students are inundated by information—as well as opinions and misinformation—on their devices. 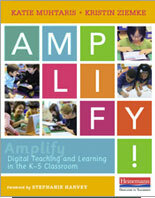 These digital texts influence what they buy, who they vote for, and what they believe about themselves and their world. Crafting and analyzing arguments in a digital world could be our greatest possibility to improve dialogue across cultures and continents… or it could contribute to bitter divides. 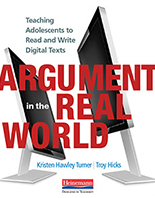 In this book, Kristen Hawley Turner and Troy Hicks draw from real world texts and samples of student work to share a wealth of insights and practical strategies in teaching students the logic of argument. 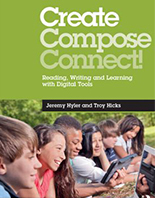 Whether arguments are streaming in through a Twitter feed, a Facebook wall, viral videos, internet memes, or links to other blogs or websites, Turner and Hicks will guide you—and your students— in how to engage with and create digital arguments. 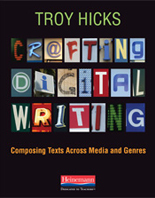 The authors’ companion wiki provides all of the links to the web-based examples referenced in the book, as well as additional resources to support you as you implement instruction in digital arguments.